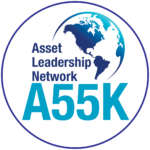 The Asset Leadership Network is an organization focused on impacting asset management across all industries, markets and sectors that are dependent on physical assets to achieve strategic organizational objectives. Simply, asset management helps organizations realize greater value from their assets, and impacts the financial and operational performance of the enterprise. The vision of the Asset Leadership Network is to increase the awareness of private industry, public organizations and government entities regarding the application and use of ISO 55000 to realize the full value of their assets through managing risk and opportunity, in order to achieve the desired balance of cost, risk and performance. The ALN’s primary objective is to help organizations identify and utilize the best practices most suited to the organization’s needs. The ALN recognizes asset management as a distinct professional discipline complementary to other professional disciplines involved in managing assets, and provides a broad network where leaders quickly find the help and solutions they are looking for, including best practices, use cases, systems, doctrine, business processes, strategies, services, professional organizations, or people. In short, the ALN helps organizations do what they do better, while advancing the practice of asset management as a whole.